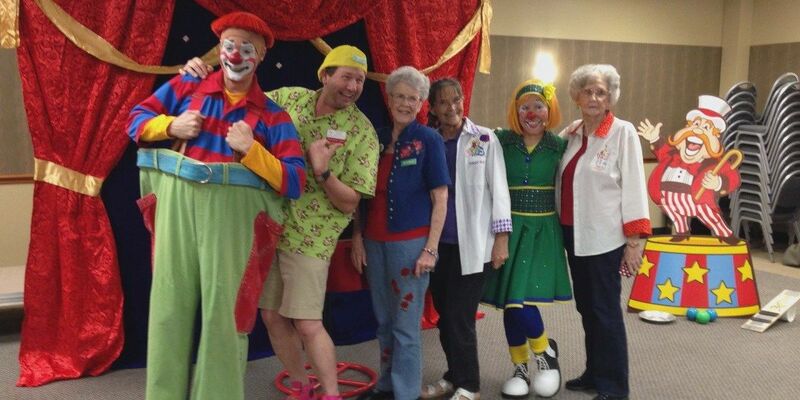 TYLER, TX (KLTV) - Behind the silly costumes and face paint, an East Texas woman is finding direction later in life by spreading the word of God through a clown ministry. Dee Kirkpatrick is retired, but the 76-year-old has a schedule full of appearances as "Dee Dee the Clown." It's not just a hobby, as clowning provides an opportunity to evangelize. "I began to study the bible and found ways to express my appreciation for what God did for me," she said. After moving to Tyler in 2012, Kirkpatrick joined the clown ministry led by popular East Texas clown Kornpop. At the time, she was still grieving the deaths of a son and two husbands. "If people do not have a comfort and a counselor, called the holy spirit, it would be very very difficult to get through those (experiences)." She sees this as an outlet to spread happiness, despite life's obstacles. Her heart and mind stay focused on a pastor's message, she heard as a child. "If you have sin in your life and it's not forgiven, then you cannot live in God's heaven." The ministry's work takes clowns to area church gatherings, mission trips overseas, even to the scene of natural disasters. Visits to prisons are another opportunity to reach families. "The hardest things is to see them be separated when they have to go. Some children are very very upset. And I've seen one or two fathers very upset when they had to be parted. But that's part of the punishment. You see the child for only for a small time." Kirkpatrick's clown supplies, like toys, stickers, prizes, balloons, and costumes, can be expensive. Many performers spend thousands of dollars out of their own pockets. "It's just something that if I'm going to be representing God and his free gift of grace, then I don't feel like I should be charging anything for the supplies that I have." The process of becoming "Dee Dee the Clown" doesn't happen in a flash. First, Kirkpatrick chooses an outfit that fits the event, the weather, and her audience. She collects costume pieces from thrift stores, garage sales, and even makes some of the outfits. Her wardrobe is extensive, with options that include clown-wear, cowboys, nurses, Mrs. Claus, and patriotic themes. Painting her face can take an hour to apply, depending on the design. Many clowns apply 'white face,' but Kirkpatrick prefers 'Auguste,' which is a flesh color. Dee Dee's nose is a trademark of her persona, with special styles for various occasions. "I will wear the little flower to go with this (flowered) dress. Fourth of July and around then, I wear the star." The transformation process is complicated. Kirkpatric uses various brushes and sponges to apply colored grease paint and adding blush to her cheeks. There is a serious side to her work. Throughout her act, Kirkpatrick weaves in stories from the Bible, like the Prodigal Son and the Good Samaritan. "I see the results in the children. They respond so quickly to you when you're having something they can understand and they have fun. And I think they're probably retaining it." Believing illustration is an essential part of the learning experience, Kirkpatrick uses balloons. She buys a myriad of colors, numbering in the thousands. "You can make spiritual lessons with balloons, into hearts, into crosses. If you are very very good you can make anything you want. I'd have to say I'm a novice." By sharing her faith with a new generation, Kirkpatrick says she's finding a new direction in life through this opportunity to encourage others. "I don't have any fear of the future, as long as I'm doing, and happy and busy. That's what I think God wants me to do." Kirkpatrick says there's always room for more clowns in the ministry. She and other members of the Rosy Nose Clown Alley meet the fourth Monday night of every month at Atria Copeland in Tyler.